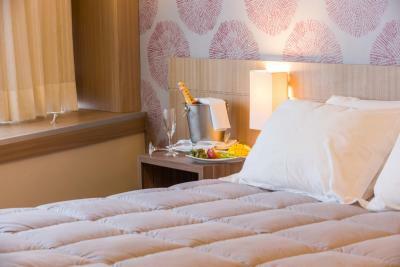 Lock in a great price for Continental 4Soul – rated 8.3 by recent guests! The staff was very accommodating. Great place for families. Good restaurants nearby. 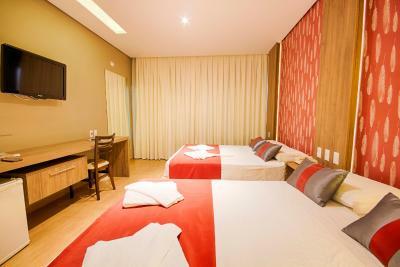 Travel agency inside the hotel if you want to book all your attractions in one place. The staff is so friendly and they try to solve any issue you might have. The food is superb, love it. The breakfast was very extensive and it was honestly a shame that we only stayed at this hotel for only 1 night. 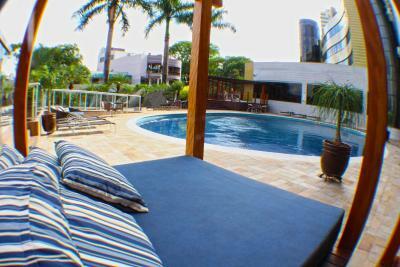 The pool was very relaxing and the hotel was situated in a good area close to bars and restaurants with a short taxi ride or a medium length walk. The staff was really nice and helpful. The hotel’s buffet breakfast was nice. Very easy check in and out. Nice pool and bar area with piano. Game room with pool table tennis and fusball. Good location and big rooms. 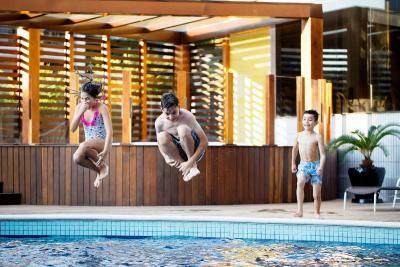 Cheaper than hotel options on the Argentinian side of the Iguaçu. Great location! Great staff at the reception.. Breakfast is quite rich.. The free Brazilian-Style breakfast was far better than most hotel buffet breakfasts. 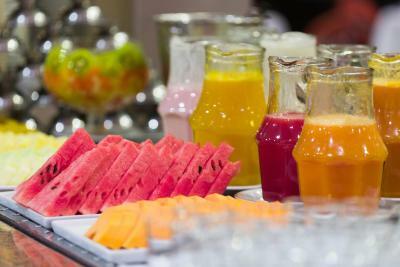 It is so nice to have fresh scrambled eggs and a range of delicious fruits. The buffet dinner was also excellent and well worth the price. 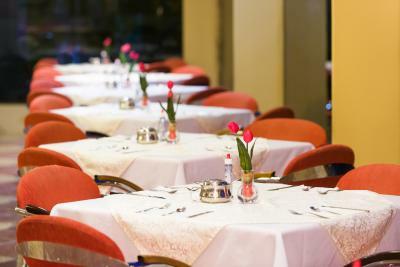 The dining room staff members are efficient and customer-oriented. 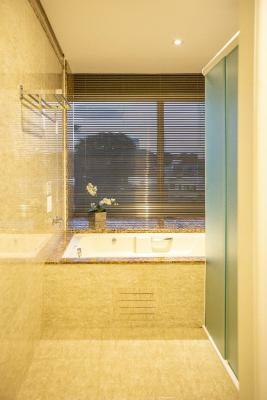 Continental 4Soul This rating is a reflection of how the property compares to the industry standard when it comes to price, facilities and services available. It's based on a self-evaluation by the property. Use this rating to help choose your stay! 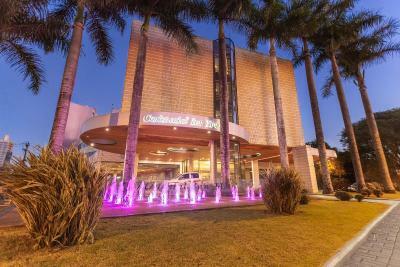 One of our top picks in Foz do Iguaçu.Featuring free WiFi throughout the property, Continental 4Soul offers accommodations in Foz do Iguaçu, 8.1 mi from Birds Park. 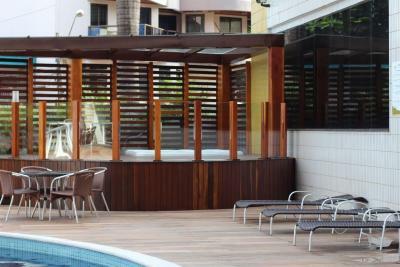 The hotel has a sauna and an outdoor pool fitted with a jacuzzi. 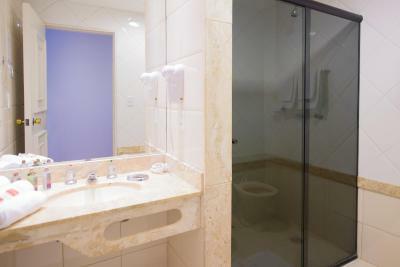 Each air-conditioned room features a mini-bar, cable TV and a private bathroom fitted with a shower. A restaurant and two bars are found on site, providing meals and drinks for all tastes. 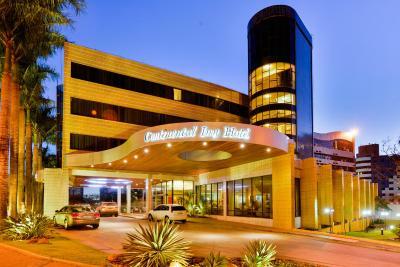 Continental 4Soul also offers an executive office and different shops, as well as room service until 23:00. Safes are available for a surcharge. You can play tennis at the hotel. Iguaçu Waterfalls is 13 mi from Continental 4Soul. 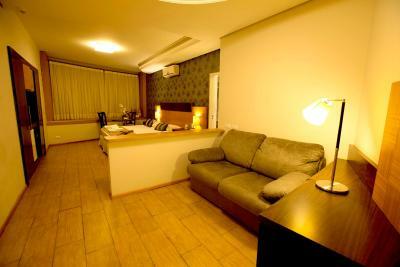 The nearest airport is Foz do Iguacu/Cataratas International Airport, 6.8 mi from Continental Inn Hotel. 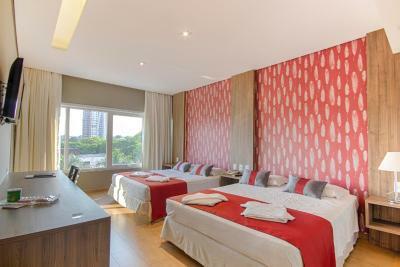 Foz do Iguacu City Centre is a great choice for travelers interested in shopping, sightseeing and tourist attractions. 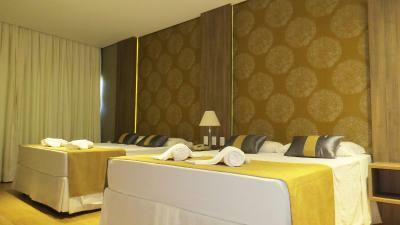 When would you like to stay at Continental 4Soul? 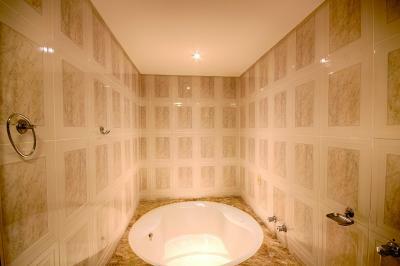 With a spa bath, this larger, air-conditioned suite includes a cable TV, mini-bar and a living area with a work desk. 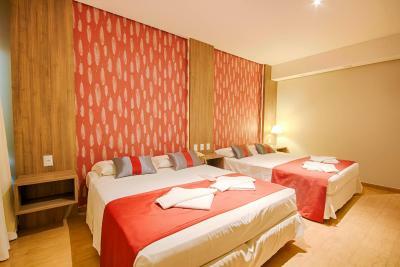 It offers a queen-size bed and bathroom with a hairdryer. 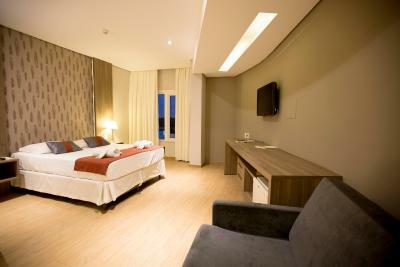 This spacious room features soundproof windows, air conditioning, a TV, mini-bar and private bathroom with a hot shower. 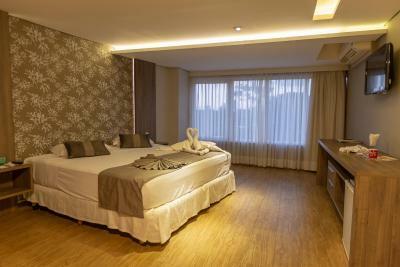 This spacious room features air conditioning and a private bathroom with a hot shower. 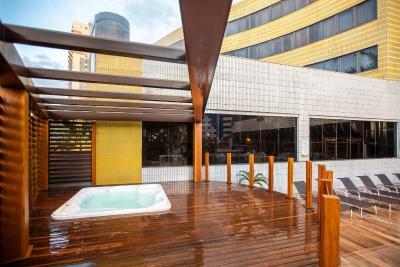 Hotel surroundings – This neighborhood is a great choice for travelers interested in shopping, sightseeing and tourist attractions – Check location Great location - show map Guests loved walking around the neighborhood! House Rules Continental 4Soul takes special requests – add in the next step! Continental 4Soul accepts these cards and reserves the right to temporarily hold an amount prior to arrival. Please note, the 10% service charge is optional. Please note that payments will only be accepted from the registered cardholder. Service-wise, this hotel is stuck in the past. Lots of staff that walk around without having much to do. There is a basket with peanuts and other small snacks on the table in the room that looks like a typical complimentary gift for the guests (no price tags), I had some, and when I checked out the receptionist kept me waiting because the room service were checking if anything from the basket was missing and they put the peanuts I had on my bill. 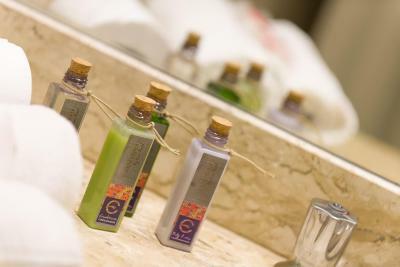 It´s not big deal, but things like that were normal in hotels 40 years ago, not today. Receptionist at the front desk, and the automatic 10% charge for "voluntary"gratuity for services, the hotel includes in the bill. The waiters at the restaurant. 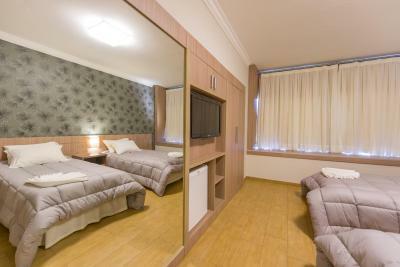 Good location, friendly staff, clean. The hotel is really aged! 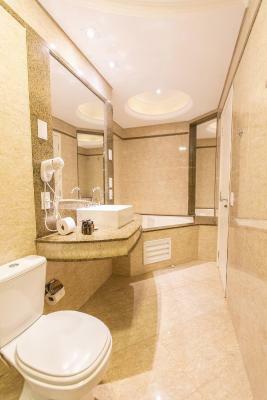 Rooms are renovated but bathrooms are very very old.. it felt dirty..
No knobs in the bathroom. No complementary water in the room. They need to renew the property, it's kinda old with no maintenance, the carpet smell so bad, the bathroom is so old that sometimes it worked other it didn't. The cleaning of the room sometimes were good and sometimes looked like it was done in a rush. It would be a great idea if they had adapters for electrical stuff, some of us are foreigners and sometimes we forget to carry those things. The breakfast room was a nice size but it was so so chilly every morning, the air con was always fully on when not necessary . I have never seen so many people at breakfast time with coats and pullovers on.The lobby area was also very chilly. The cooked food choices were never above lukewarm. ALSO DID NOT LIKE BEING ASKED IF I WOULD LIKE TO PAY A 10% SERVICE CHARGE ON CHECKING OUT? I DECLINED. 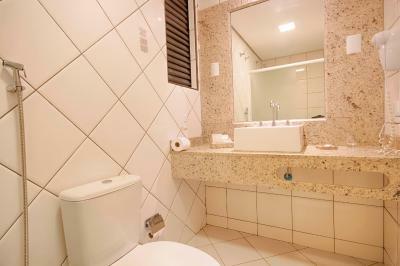 The room was a bit tired, with broken safe, not very clean bathroom. It felt like the bathroom was communal due to the noise coming from the common vent. The tour desk in the foyer was handy. There were a couple of issues. The battery on the lock on the door to my room was dead, so I could not enter the room with my key card. Staff members helped me move to another room.